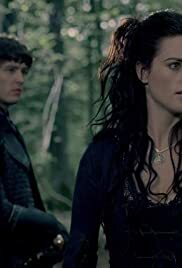 Balinor: Merlin, you are more than a son of your father. You are son of the earth, the sea, the sky. Magic is the fabric of this world, and you were born of that magic. You are magic itself. You can not lose what you are. Merlin: But how do I find myself again? Balinor: Believe, Merlin. Believe what your heart knows to be true, that you have always been and always will be.